16 themes from the popular movie series arranged for alto sax. 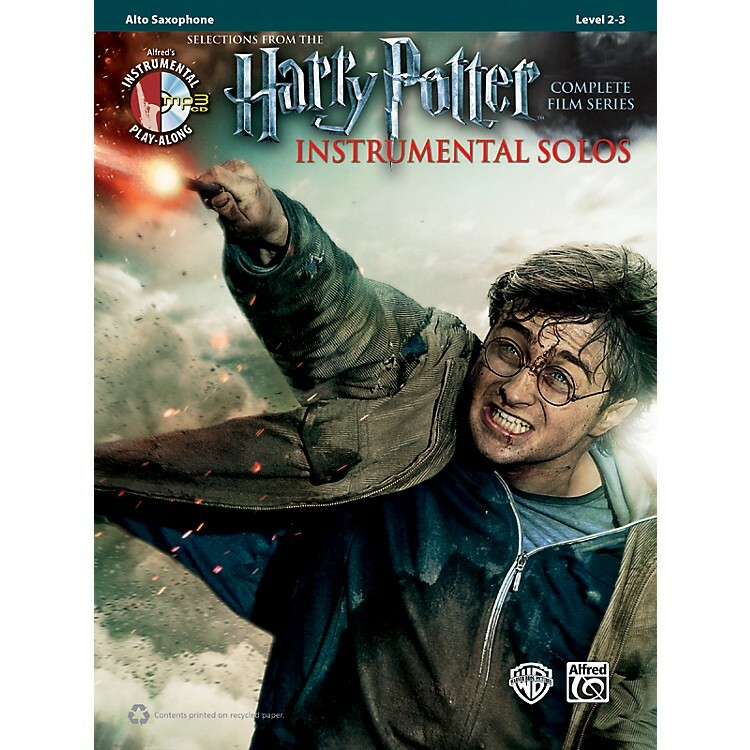 Part of Alfred's Harry Potter Instrumental Solos series, this book/CD combo provides you with arrangements for the alto sax which can be performed as ensembles or solos by students who have completed the first book of any standard band method. A fully orchestrated accompaniment MP3 CD is provided, featuring each song as a live performance demo track followed by a play-along track.
" A Window to the Past"
It doesn't take magic to learn the music from Harry Potter, but this songbook/CD combo will do the trick. Order now!